There are around 250 films from 51 countries choosen to be screen on 68th Locarno film festival which begun on August 05th. A Sinhalese film titled 'Sulanga Gini Aran'(Dark in the White Light) and a Kannada film titled'Thithi' were among them which inspired many audience. 'Sulanga Gini Aran' was directed by a young growing Srilankan director Vimukthi Jayasundhara. His first full lenght movie was 'Forsaken Land' a film centers on SriLankan war efffects which won Palme d'Or award for best cinematography in Cannes film festival 2005. Though 'Sulanga Gini Aran' was too belongs to dark type film. The story of this film centers on psychology and activities of five characters. A Buddhist monk who seeks enlightenment, A student tests about death himself who wants to become a doctor, An agent who collect people for his illegal kidney business in Colombo, A doctor who does illegal Kidney operation for him and his driver were among them. 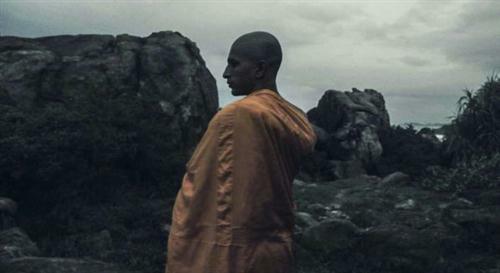 Notably, the scenes based on the life of the Buddhist monk who seeks enlightenment by traveling mountains, water falls and forest alone and the life of the doctor who has all the negative qualities such as lust, revenge, anger and animosity in his mind were clearly and deeply taken. Simply saying, this film is parallely moving with the calmity and peaceful side of the monk and the cruelty side of the doctor. At the same time common spectators made complaints on the scenes that taken to describe the dark side of the doctor is too serious and children cannot see this movie. When the director Vimukthi Jayasundhara described about his movie on press meet he told that the production period of this film was 6 years and only the training period of the main character (doctor) took 2 years. 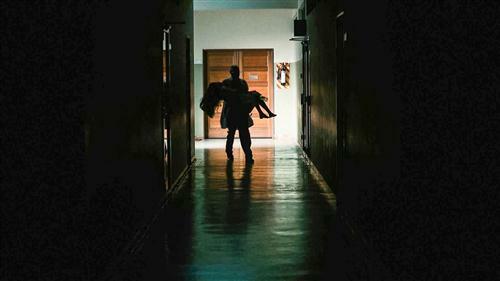 We can also say that expecting this kind of dark movie which touch the variety of human characters deeply, from a strict cultured country like Sri Lanka is very rare. Another remarkable thing is that this film ends with pure expression of SriLankan touch. Clearly saying, It was shown that the whole story of this film was discussed by four village people as a pretold story or believe who were playing cards in a jungle. That story also included the fate of the monk and the doctor. Those villagers believed that the doctor who immolated himself in the climax became an evil sprit and the Monk who attained 'Nirvana' (Enlightenment) became good sprit in that Jungle. They were also discussed that their spirits affects those people who cross that jungle at the end. Finally the director let us to decide our self weather to believe or not believe on the stories like these on our own once again intelligently. 'Sulanga Gini Aran' is competing with 19 other films from many countries in Locarno to win golden leapord award. We can say that this film is also eligible to grab it.